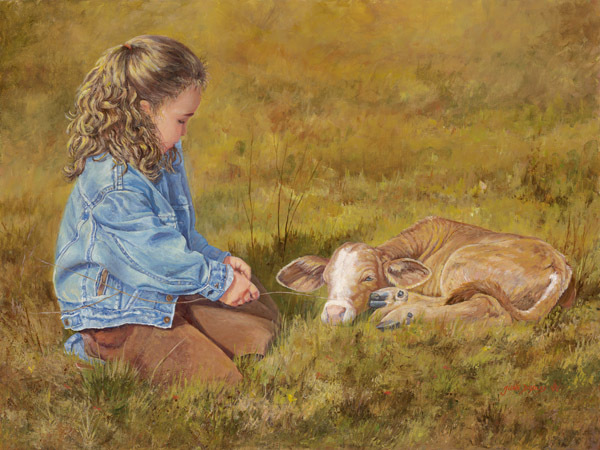 June Dudley loves to paint children. This little girl is delighting in playing with a new calf on t he ranch. It will not take long for these little ones to become best pals.